Computers are like cars. Give them regular tune ups and they’ll continue to perform at their best. Although computers, like cars, have a lifespan, you can significantly improve their performance and longevity with some basic maintenance. Many popular and efficient tools are already built into Windows, along with default settings that make it both secure and convenient to use. Although you may not need to modify anything, it’s always a good idea to periodically check things out. In this article we’ll go over some key solutions to problems users may encounter, and tips to keep your computer in great shape. As you use your computer, your hard drive becomes littered with temporary files from programs, websites and utilities—all of which can eventually affect the performance of your PC. 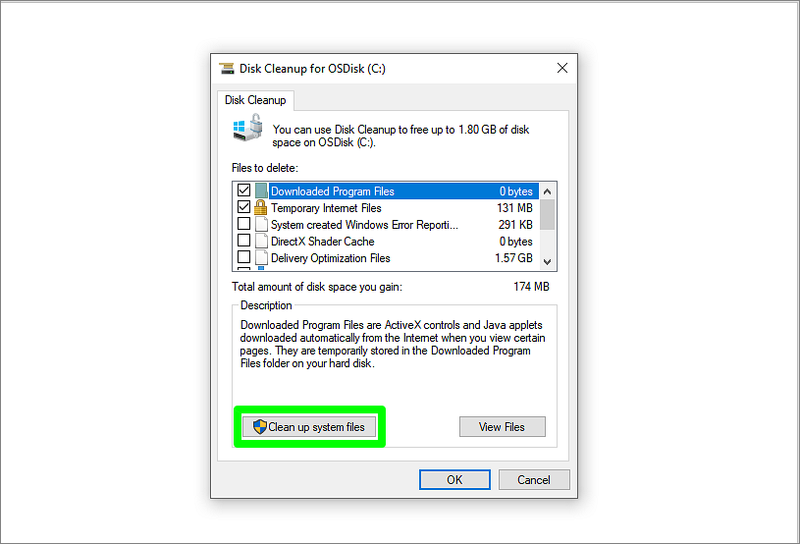 Disk Cleanup is one of the built-in Windows tools that will inspect your drive and report on those files that you can safely remove. Launch Disk Cleanup by typing it into the Windows search box. You’ll be asked which drive you want to clean. For most computers, the main drive will be called the C: drive. If you have more than one hard drive, then you’ll have to run it for each individual drive. It’s up to you to decide how much storage space you want to clear. Disk Cleanup will only clean up your files. To clean up files above and beyond the temporary ones on your computer, including Microsoft files accumulated from past updates, select the option near the bottom of the screen labeled Clean up system files. Select it, choose your drive, and select OK to begin the cleaning process. Devices with Hard Disk Drives (HDD) can really benefit from optimizing your storage (if you have SSD, you can ignore this section). 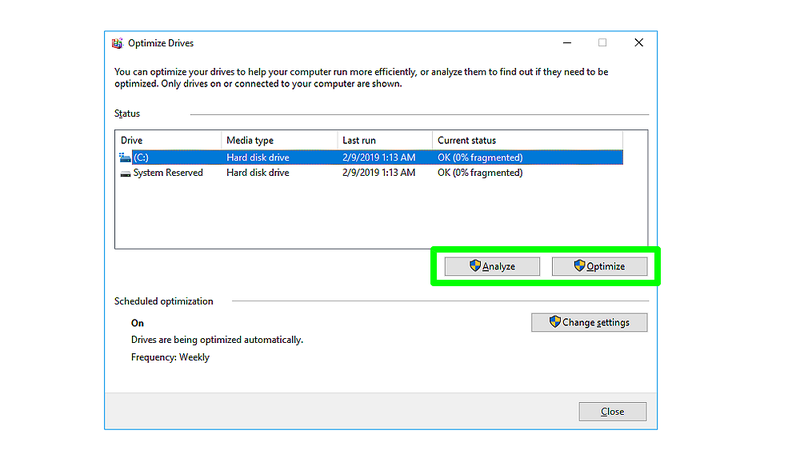 Check to see which you have: Open Optimize Drives (also called Defragment and Optimize drives) by typing it into the Windows search box. 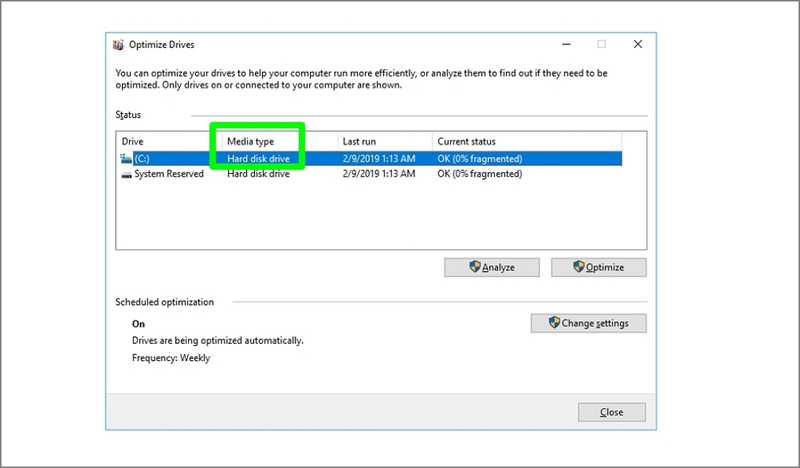 Your drive information will show up under Media type. You’ll see two main buttons: Analyze and Optimize. Analyze will search through the drive and determine how much of the drive is un-optimized and how much of the drive is affecting the system. Optimize will analyze how much space is un-optimized and then optimize it. Most of the time, you’ll use Optimize, since Analyze will only show whether you need to optimize it or not. Using Optimize Drives can be scheduled to run automatically, as often as daily or as infrequently as monthly. 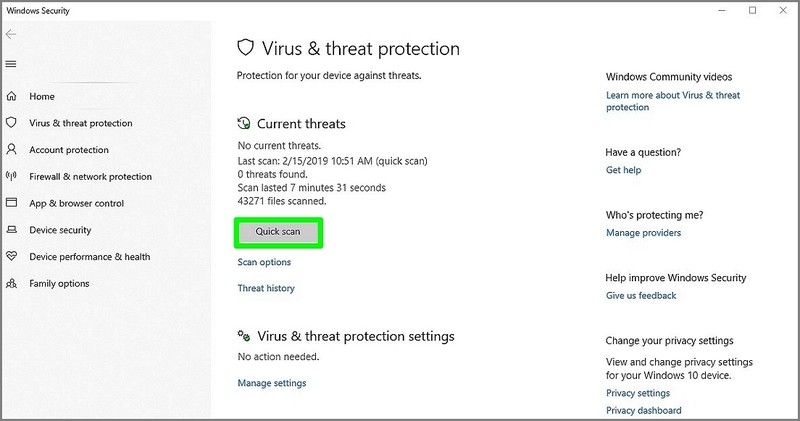 If you think there could be an issue with your device, Windows Security (formerly known as Windows Defender) should be one of the first things you check. More than an anti-virus program, designed to prevent, search for, detect, and remove software viruses and other malicious software, Windows Security also checks important aspects of a device such as battery life and firewall status. You can select any of the categories to personalize your security plan. For instance, if you click on Virus & threat protection you’ll be presented with information on what threats, if any, are currently affecting your computer. Click the button marked Quick scan to check for any malware that can be harming your device. In the best-case scenario you’ll be presented with a “no current threats,” message. If a current threat is present, you’ll be walked through the correct steps to take to address it. Above Quick scan you’ll also find information on how long it will take to complete the scan, so you’ll know what to expect. Some programs might be slowing down your device right from the start. If you notice that your computer is slow to boot or start working after logging in, you may have too many programs launching when you start your device. Select the Windows icon on the taskbar and open Task Manager. Select More details and then the Startup tab. You’ll see a list of all programs that start when you first boot your computer. The more programs you have enabled here, the longer it’ll take to start your computer. 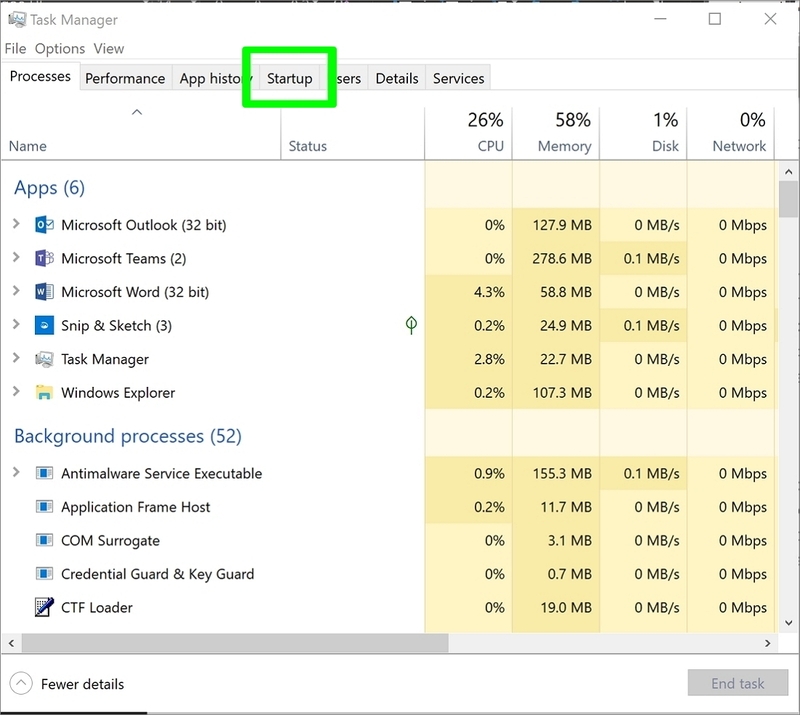 Disabling programs you no longer need will reduce how much your PC has to work, thereby improving the speed with which your computer opens up and starts working. When your system is out-of-date it can drastically hinder the performance of the device. You can check for updates by going to Update & Security in the Settings app and clicking the Check for Updates button. Updates include more than just new features: there are security updates, hot-fixes for bugs, even driver updates for certain hardware. 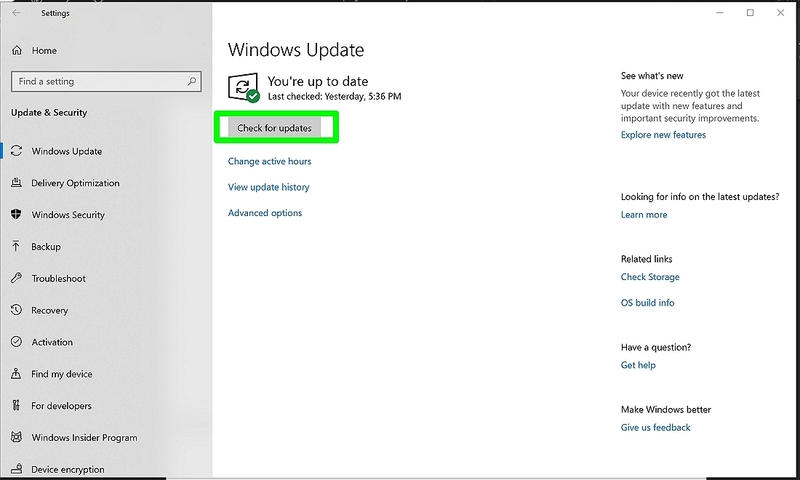 Check for updates the second Tuesday of every month since that’s when Microsoft releases most updates and patches. If your updates fail and continue to fail after multiple reboots, it usually means you’re too far behind on updates. To solve this run the Windows Update Assistant. Cleanup, optimize, secure, review startup, and update. Do these five steps monthly on your computer to maintain a well-oiled and healthy machine! You and your device will both be happier.